Chasing the retail holy grail — a convenient and seamless shopping experience for customers across channels — is a challenge merchants have come to know all too well. As new technologies and innovations continue to change the retail space and consumer behaviors, it’s become more important than ever for retailers to meet their customers whenever and wherever they decide to interact with the brand. But Markus Rinderer, SVP at ACI Worldwide, explained to Karen Webster that pursuing and successfully deploying an omnichannel strategy is so much easier said than done. For retailers, there always seems to be a new channel, interface or even consumer shopping behavior to keep up with, making true omnichannel somewhat of a moving target. Mobile has completely transformed the way both consumer and merchants come together around a buying experience. At one point in time, the mobile device was a true game changer in the retail landscape, but today it’s become more a necessity than a cool offering to have. The mobile channel not only enables shoppers to buy wherever they happen to be, it also gives merchants who are ahead of the curve the opportunity to benefit from that digital transformation, Rinderer noted. While the mobile device offers a convenient and easy way to shop, there are still challenges when it comes to merchants providing the right experience to enable conversions on the payment side. “I still believe there is a lot of room for improvement there,” Rinderer said. On ACI’s UP eCommerce Payments platform, more than 50 percent of online transactions are originating from mobile devices, which Rinderer noted the significance of a good shopping experience and payment experience. 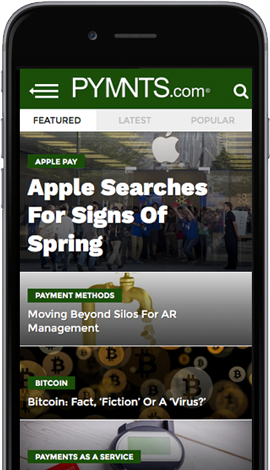 “Obviously it’s important that you have a great app and that you have an easy to use in-browser experience on mobile for shopping, but finally what’s really important is that you make it very easy to let shoppers use their credit card or any other payment method they want to use, for example,” he added. However, using a credit card payment can get complicated rather quickly on a mobile device. For a consumer, having to enter their 16-digit payment card number and other information in order to make a purchase on their device is wrought with friction. Losing a consumer at this point in the shopping experience, when they are at the final stage and have already made the decision that they want to buy what’s being sold, can be detrimental to a merchant. Rinderer said that there’s a high risk that the customer just won’t come back if they experience friction at this point, which is why he emphasized the importance of ensuring that the payment piece on mobile goes through. To Cross-Border Or Not To Cross-Border? While the internet has provided retailers with immediate access to customers around the world, this doesn’t necessarily mean that every retailer that can sell across borders is actually equipped to successfully. It’s debatable if merchants truly make a decision to become a cross-border business or if it just happens because they are already accessible to cross-border customers. However, Rinderer said that if a retailer wants to be successful at cross-border, then the decision needs to be deliberate. “If you don’t make a deliberate decision, then yes, you might be cross-border, able to sell into other countries and found on Google, but if you want to optimize conversion rates in other countries, then obviously you have to optimize the consumer shopping experience itself first and make sure that you address the local requirements and shopping behaviors,” he explained. It’s just as important, he added, to address local requirements when it comes to the payments piece of the cross-border shopping experience as well. This means ensuring all local regulations are met and that customers in that specific location are enabled to use the type of payment method at checkout that’s relevant to the country they are in. For many merchants, utilizing the mobile channel can be difficult solely because many customers are not willing to download and use merchant-branded apps. By and large, the app game is one that’s hard for merchants to win. Unless a merchant is already very large with shoppers that are ready and willing to use a mobile app, it can be difficult for a retailer to find success by focusing solely on the mobile app touch point. In many cases, Rinderer said purely online retailers may have a leg up because their consumers are already comfortable interacting them digitally. But for physical merchants, it can be tougher to get the shopping experience right for consumers via mobile, whether they are using a mobile app or a browser on the device. Rinderer identified this as another area where retailers have plenty of room to grow when it comes to delivering a seamless and convenient experience. Commerce is certainly becoming more contextualized. Consumers are using a variety of mediums and platforms as integrated parts of their shopping journeys, whether that’s pinning on Pinterest, browsing on Facebook or utilizing payments inside of messaging interfaces. Rinderer explained that these all provide merchants, especially those that are smaller in size, with the opportunity to solve many different problems. Marketplaces deliver immediate access to more shoppers but also can enable merchants to leverage the capabilities of the platform in order to do cross-border commerce or enable mobile commerce. “Well-managed marketplaces allow even small merchants to benefit from cross-border and get out-of-the-box capabilities for selling goods with all the localization required and features required in across different countries,” Rinderer said. However, merchants still must calculate the risk and costs associated with leveraging marketplaces to ensure that the return on investment makes sense. Rinderer pointed out that oftentimes using a marketplace or platform can help merchants to grow and take those necessary first steps toward optimizing their business. Reaching omnichannel nirvana requires merchants to examine how they can grow, evaluating paths that make sense for them, utilize new technologies and leverage new markets in order to deliver better shopping experiences and ultimately gain market share. “I think merchants have to make these decisions and prioritize them in the right way depending on the market they are in, the technology changes that are coming and what the shoppers are expecting,” Rinderer explained. As merchants continue to aim to deliver seamless experiences across a growing number of shopping channels, Rinderer noted that the way to get there is to have strategies to optimize the channels individually and at some point, step by step, bring them together for a consistent experience. “We really believe there are technologies and developments that support the requirements of merchants to ultimately have one experience with payment methods that work in all kinds of channels,” he said. Going forward, Rinderer expects that merchants will make the necessary and significant investments needed to make this happen — even if that means completely redoing their entire infrastructure to support consistent and seamless experiences across all channels.